We started the month of February with a bang here in Boston...we won the Superbowl and got hammered with yet another big snow storm. Kids have had two very short school weeks: they were home two days last week and they're home two more school days this week...so fun! Oh and I almost forgot to mention that my craft room has had no heat for two days and it has made me a very unhappy crafter. My craft studio is a very bright four season sun room heated separately by propane gas. I am getting this fixed today so I'll be smiling again soon. Thankfully I was able to craft my heart out all last week. I've been hit by the "love" bug! Valentine's Day is coming up and I love this holiday. I love all the reds and hearts and making little Valentines for my family and friends. I will be teaching another class this month and you can read all the details later. 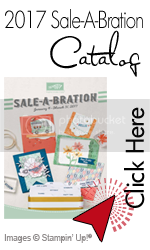 Also, the Sale-A-Bration period is in full swing and I urge you to take advantage of getting your coveted Stampin'Up goodies either this month or the next because the products from the Sale-A-Bration catalog are just amazing and this time once they're gone they are truly gone forever. 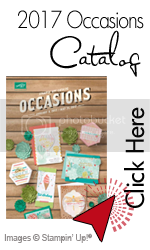 Stampin'Up has announced that they no longer will list retired Sale-A-Bration products in their clearance section at any point in time. 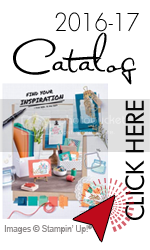 Cost: $30 All material included (10 cards, 10 envelopes, all supplies including adhesive). Cash or check only DUE ON SUNDAY, FEBRUARY 23, 2015. This month's gallery is packed!!! Stay warm and safe wherever you are!! !